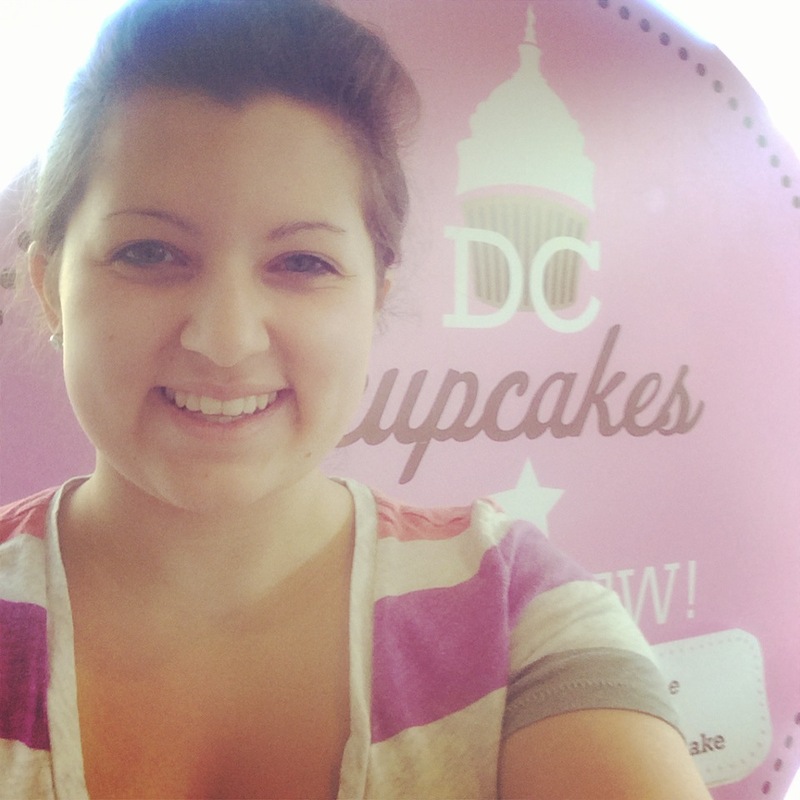 The best way to begin my passion blog is to explain the root of this passion that I have acquired to find the greatest cupcake in America. It all began in the summer of 2010 as I sat with my mother in our living room, watching television. At that time, a new reality television show was released on TLC called “D.C. Cupcakes,” which shares the recipe to the sweet success of Sophie and Katherine Kallinis, sisters who risked their life savings and careers in fashion and finance to pursue their lifelong passion and dream of opening a bakery. 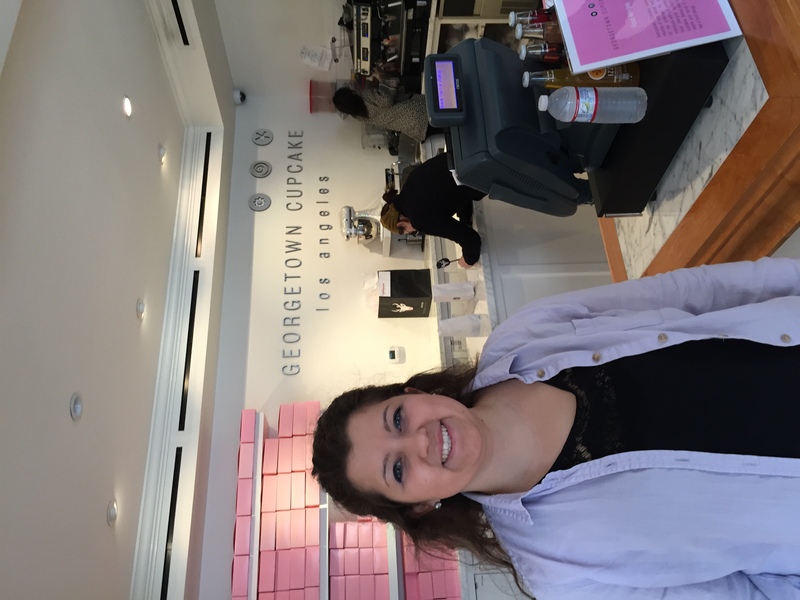 With familial support and grandmother’s recipes, Sophie and Katherine opened Georgetown Cupcake in 2008 and became a success over night. The show highlights their booming cupcake empire from the decorating of thousands of cupcakes per day, to dealing with high class clients on special projects, to making cupcake tower masterpieces for weddings, fundraisers and festivals. As my Mom and I watched the pilot episode, I was enthralled by everything! I could literally take a bite of their cupcakes without leaving my couch. Georgetown Cupcake has an incredible selection of cupcake flavors and icing combinations. 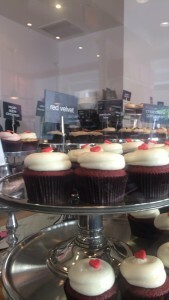 But, this cupcakery is most well known for their classic Red Velvet cupcake and signature swirl of icing. The half hour episode had me hooked. Once I took it all in, I set a goal for myself in a conversation with my mother. 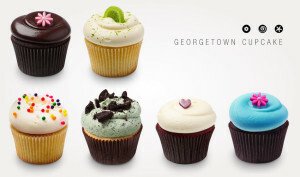 I decided that I couldn’t become obsessed with Georgetown Cupcake without tasting one of their Red Velvet or Salted Caramel cupcakes. So, I quickly told my Mom that by the end of 2010, I would get to Georgetown to make that happen. Luckily, my brother’s ice hockey tournament at the end of August took the family to Washington, D.C….giving me the opportunity to visit the home of D.C. Cupcakes! 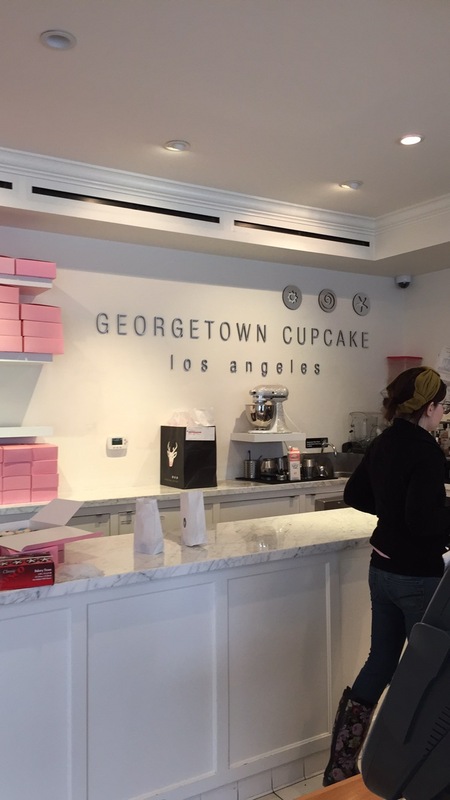 So, my mother, sister and I planned to visit Georgetown Cupcake between my brothers first and second ice hockey games of the tournament since there was a two and a half hour gap between them. 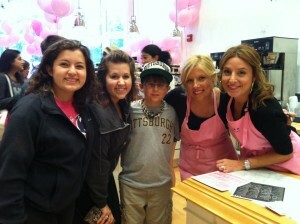 Of course, we hit a ton of traffic on our way and arrived to see a line for cupcakes that stretched around the block. In order to make it on time for his second game, we had to turn around before we even got in line. 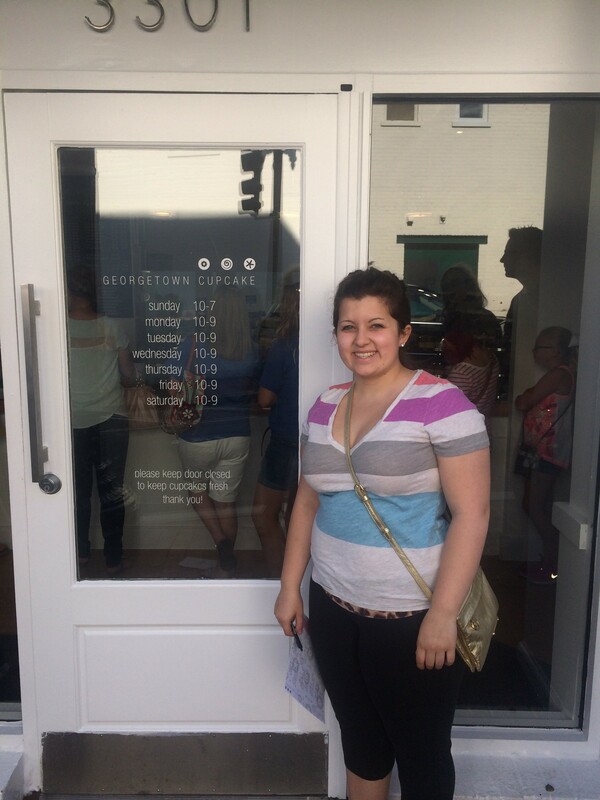 I became very upset and talked my Mom into stopping at Georgetown Cupcake before we left to drive back to Pennsylvania. Once we finally arrived, we bought a dozen! I tried Salted Caramel and Red Velvet and fell in love. They had incredibly moist cake that was nowhere near dry and excellent icing that wasn’t too sweet, in their signature swirl. On that day, I decided to test a cupcake in every new city that I visit until I find a cupcake better than that of Georgetown Cupcake. Katherine, Sophie and their staff currently bake over 5,000 cupcakes each day and ship those batches of deliciousness all over the country. Their cupcakes have won numerous awards and contests and was voted “Best Bakery” in Washington, D.C. In my book, as a Cupcake Junkie, they should be voted “Best Cupcakery” in the United States. 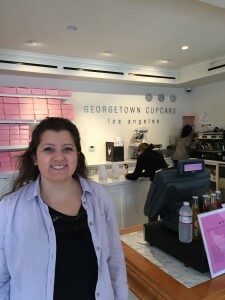 Since 2010, I have been to every Georgetown Cupcake location besides Atlanta (some more than once) in Georgetown, Boston (on its opening day), Bethesda, New York City and Los Angeles.